MUSKOGEE – A late round slide cost the RiverHawks a runner-up finish at their home tournament on Tuesday afternoon. Northeastern State shot 293 at the Muskogee Country Club and finished fourth overall with a 850 (274-283-293). Freshman and Tulsa native Carlos Gomez finished tied for sixth carding a 208 (66-67-75) in his first tournament. 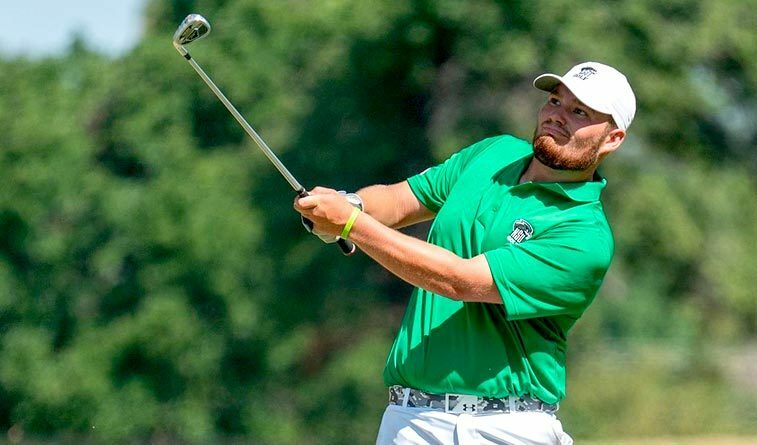 Tahlequah’s Jax Johnson had NSU’s low round of the day with a 70 and finished tied for 17th with a 212. Hunter Pennington carded a 217 (74-72-71) and Tyler Ashmanshot a 219 (70-72-77). Grant Hynes rounded out the RiverHawks’ group with a 221 (69-72-80). Lindenwood pulled away from the field in the final round and shot a six-under to win by 15 shots with a tournament all-time low 831. Central Missouri and Arkansas Tech both were tied for second place. ATU’s Francois Jacobs finished as the individual medalist with a 12-under, 201. Garrett McDaniel shot a 224 (73-76-760) and Griffen Matthias had a 235 (81-77-77) playing as individuals. Northeastern State will return to action on Sept. 30 for a three round tournament hosted by Henderson State.